If you had an emergency would first responders be able to find your home? 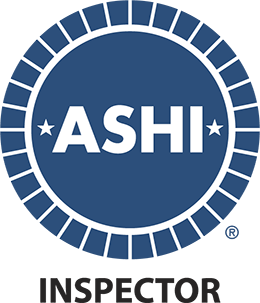 Would Police, Fire and EMS personnel be able to respond to your home as quickly as possible? Would they be able to identify your home by seeing your address on it or your mailbox? You may never need emergency personnel to come to your home. However, it’s better to be prepared now then wishing you had done something different after the fact. Plus, you don’t want your pizza person taking your piping hot pizza to your neighbor’s house because they couldn’t locate your address. Here, are two ways in which you can help emergency personnel locate your home. 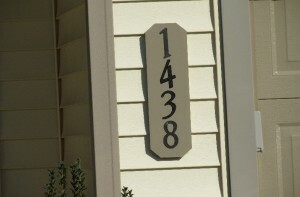 First, the home itself should have numbers large enough to be seen from the street. Think about color contrast so they don’t just blend in with the house; usually five to six inches is a reasonable size. I’d advise on using numbers that are made of reflective material. Reason being is they can be seen more readily at night. Lastly, another good place to identify your house is at the driveway to your home. This can be done either on the mail box, if your house has one, or numbers on a small post placed beside the driveway. Some neighborhoods have the numbers painted on the curbs in front of the homes which is great, unless cars parked along the curb block the number from view. To test whether your numbers are large enough and have the proper contrast, stand in the roadway and make sure that your numbers can be seen easily. They should not be blocked by trees, shrubs or other items such as decorations. If your home sits on a corner lot, make sure that your numbers face the proper street for the address. 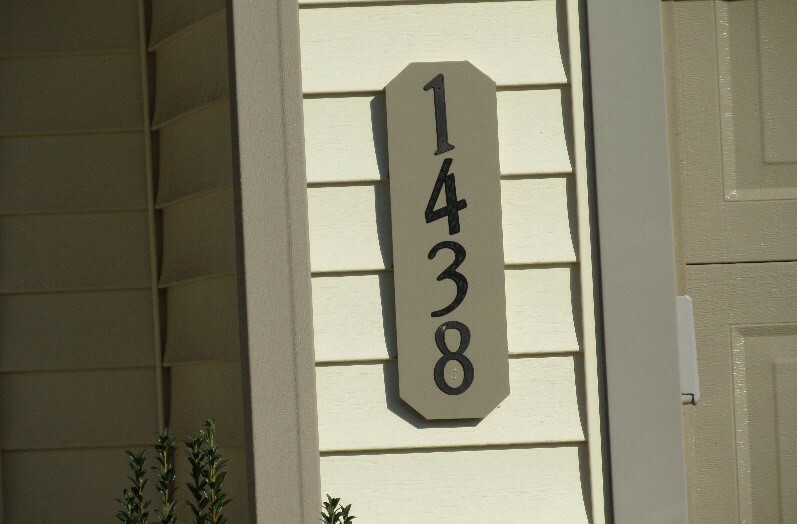 Don’t forget that house numbers, no matter what material they are made from, may deteriorate over time. Colors can fade and reflective material can peel. That’s why it’s very important, just like with other maintenance around the home, to periodically check your house numbers for visibility and obstructions. Easy to read address on home. Easy to read address on homeowners mailbox. No one likes to play ‘Address Hide and Seek.’ These two tips will help your house be easily identifiable for anyone to see. I bet you are walking out the front door now to check and see if your address is easily seen from your street!